The night sky at the Black Forest Star Party in Cherry Springs, PA. This is a true dark-sky site with no light pollution. The Milky Way, star clouds, and dark nebulae can all be seen easily. Single 55 second exposure at ISO 3200 at f/2.8. This event benefits The Texas Amateur Astronomers’ Scholarship (TAAS) endowment at The University of Texas at Austin, Astronomy Department. 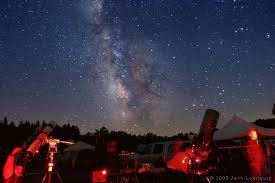 The scholarship will be awarded to an undergraduate major in astronomy once per year.